Tend2it overcame the obstacles of this challenge and came out on top with a stylistic, well crafted dinosaur. 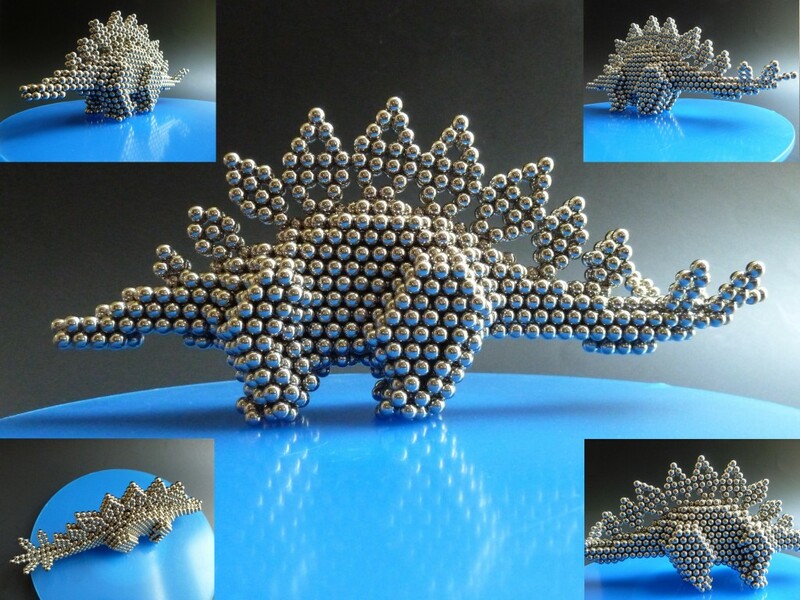 “The challenging aspects with this build include: how to generate a 3D look building outward, how to create the legs strong enough to support the body, how to get the rounded body profile layer by layer, how to balance & prevent the head and tail from tipping, and how to create and arrange the plates.” This stegosaurus is made with over 1600 Zen Magnets and is completely solid. Tend2it takes home the gold in the form of $100 Zen Credits. View more angles plus build it yourself via his Flickr. Dave nonchalantly used the most magnets in this whole contest (7110!) and created a beast of a Stegosaurus with thick columns for legs. “This was just for fun, I went into it with no real plan. 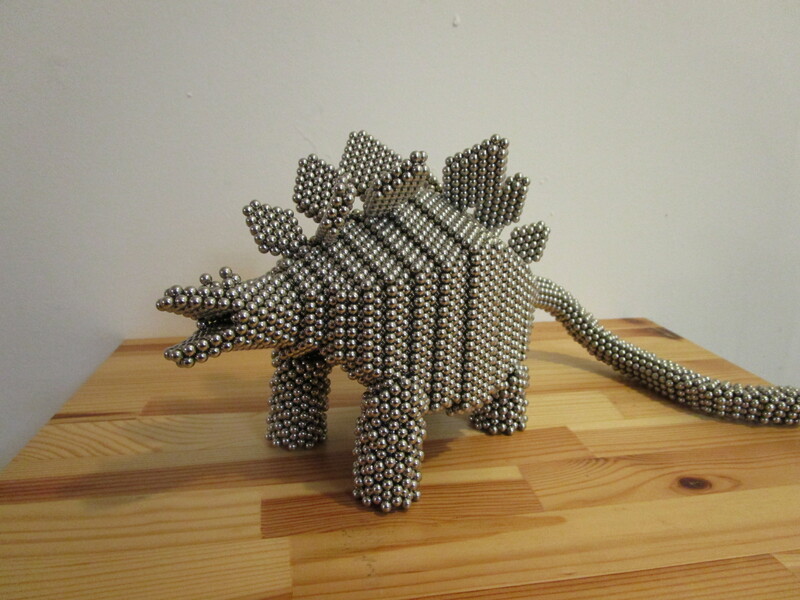 Thanks for the fun challenge.” A dump truck of Zen Magnets and laissez faire attitude secured Stegosaurus the silver medal and $65 Zen Credits for Beer_Knuckles. 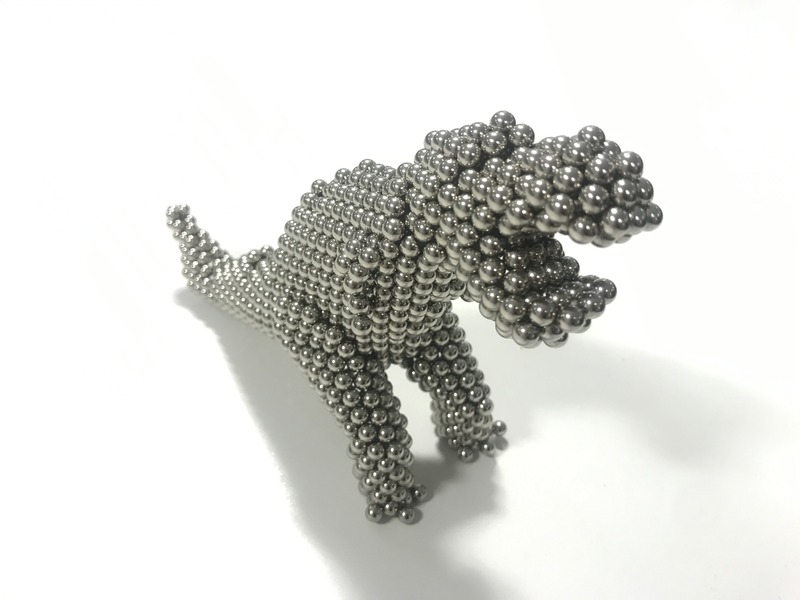 Jett constructed a Tyrannosaurus Rex with 2439 Zen Magnets. Good attention to detail with those toe claws, and features a hollow body and head. “I designed to each body part individually. 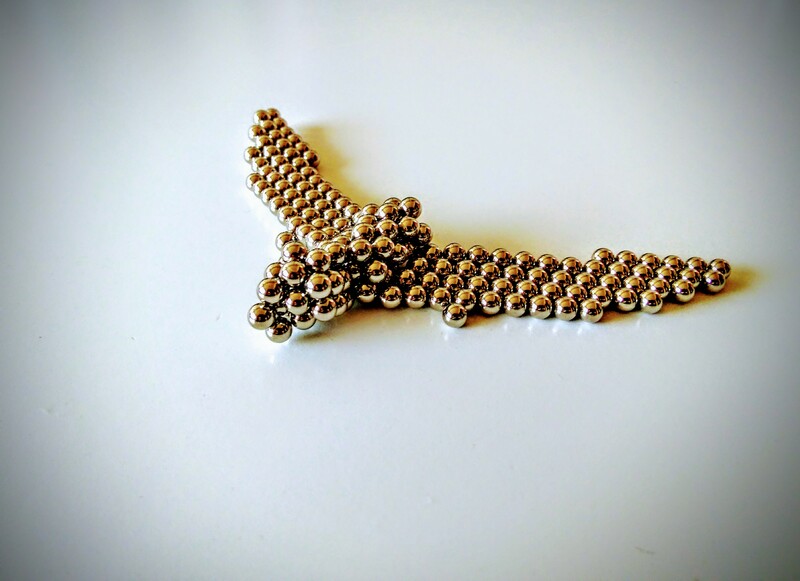 Once I was happy with each design, I made all of the parts and connected them together in a time-lapse. I then made a short stop-motion animation with it” For Tyrannosaurus Rex, Jett Williams takes the bronze and $35 in Zen Credits. View his stop-motion T-Rex below. Purplixoras set out to create a sea dinosaur, which easily set his build apart from the rest. The Plesiosaurus caught his eye with it’s pleasing body shape. “I liked the dino’s form, especially its long giraffe like neck and turtle like flippers.” 418 Zen Magnets later and Purplexoras is sitting pretty with $25 in Zen Credits for Plesiosaurus. Proving that you don’t need a lot of magnets to make your mark, DBOI slipped in his submission right before the buzzer. 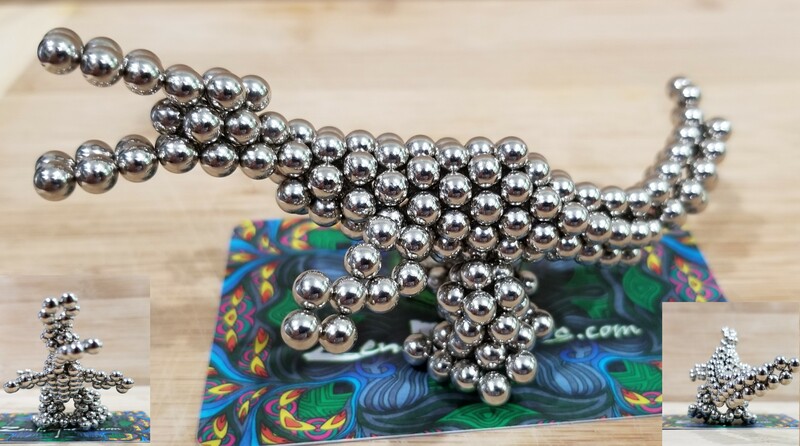 “I just got a set of 216 magnets on the 28. I had to go fast, it was hard, not the best, but I made it! 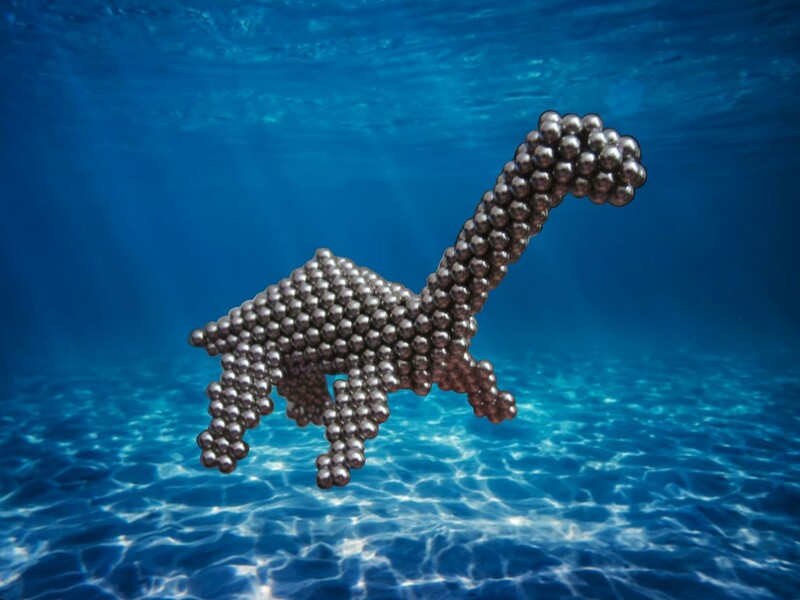 I used 165 Zen Magnets.” Sometimes we perform best under pressure. Simple elegance wins DBOI $15 in Zen Credits for Pteranodon. 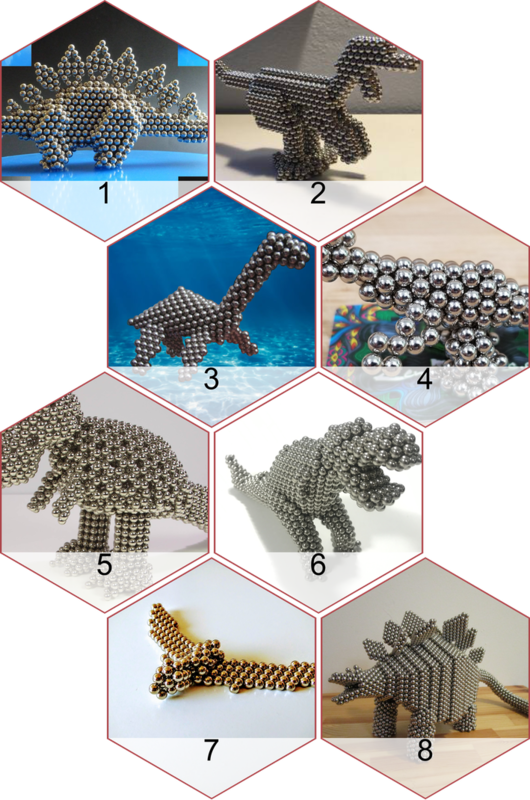 Submissions for Contest 58: Unlimited Zen Dinosaurs is officially closed. Time for democracy to take over and decide our winners. It’s going to be a tough one, because all of these builds are fantastic. 8 entries in total. 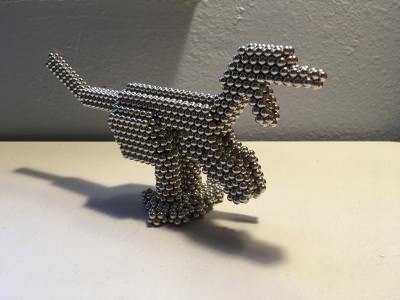 The requirements were to build a 3D Dinosaur out of Zen Magnets. 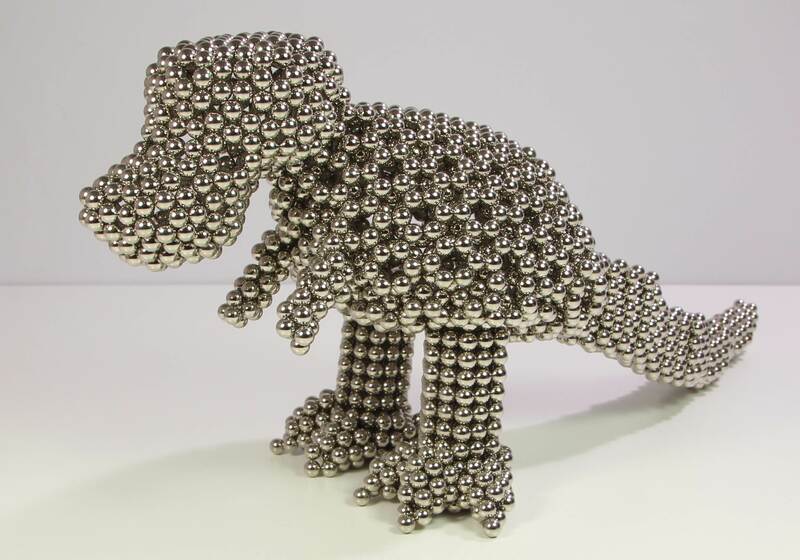 It has to be modeled after a real dinosaur, with no limit on the number of magnets used. The top 5 will receive prizes. 1st place gets $100 in Zen Credits, the rest will be announced with the winners. Judges, remember that this contest is a photography contest just as much as it is a magnet sculpture contest, overall aesthetic does matter. Voting deadline is 9/6.